OMG Tony. Once again you prove why you're the master. 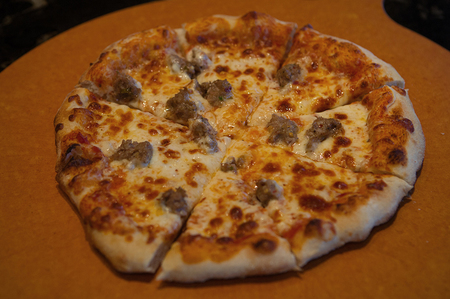 I made your Calibrese Honey Sausage, then made your napalitana dough using a poolish, and cooked it in my Woodstone oven. Here's a photo. I know it needs improvement, but as an amateur I'm very happy with it. Your class is on my bucket list. BTW, I also made a pizza using Calibrese Honey Sausage, Pepperoni, and dollops of chipotle ricotta, but it got eaten before I could get a photo.